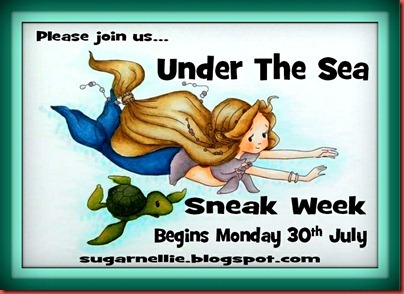 Hope you are all well this morning...and welcome to day two of Sugar Nellie sneak peek week of the adorable Mermaids stamp collection.. If you have arrived from the gorgeous Lisa you are on the right track...if not pop over to Sugar Nellie...you don't want to miss anyone's beautiful creations.. 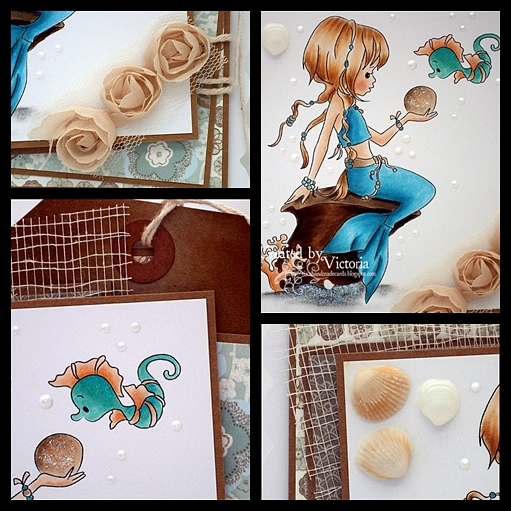 So onto my card...and today I have the lovely pleasure to introduce..
and wow what a wee cutie..! I have teamed her up with some gorgeous First Edition papers..some more ribbon flowers..a tag and scrim too.. So have a lovely day..and I'll catch ya all laters..
Hope you are all well today...and welcome to day one of Sugar Nellie sneak week of these wee beauties..
Four gorgeous Mermaids...and they certainly are.. So if you have arrived from the lovely and talented Lisa you are on the right track...if not please pop over too Sugar Nellie...you so don't want to miss anyone's beautiful creations.. So your next stop will be gorgeous Astrid...and wow another beauty there too...and don't forget to leave me a wee comment...lots of hidden sugar along the way...! So thanks for stopping by...enjoy the rest of the hop...and don't forget to pop back tomorrow to do it all over again..! 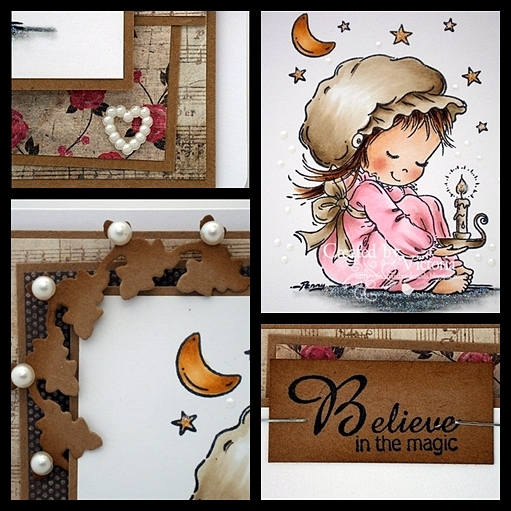 MY CRAFTY HEART DT CARD ~ SWEET DREAMS.. 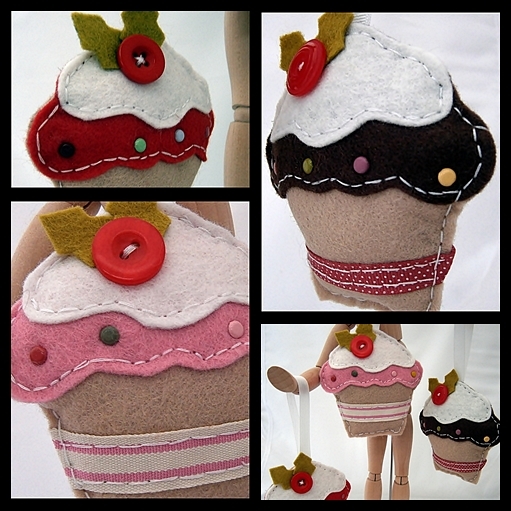 So do pop over to the MY CRAFTY HEART and check out the gorgeous new stash...you will be spoilt for choice.. Right that's all from me today...going to drink lots of water and find the paracetamol too..and fingers crossed I will catch ya all laters.. 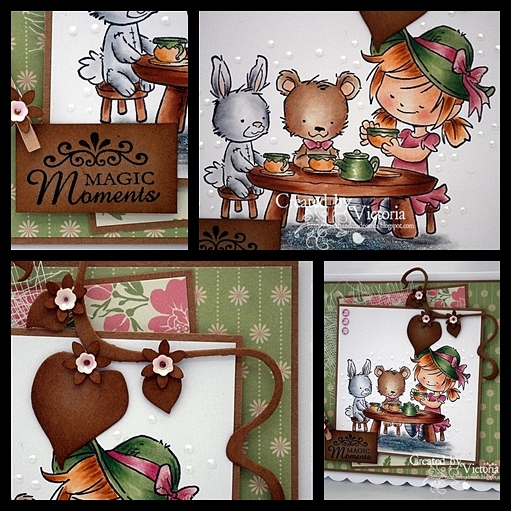 Anyway...onto my card and today I have the mahooosive pleasure to showcase sweet Maya from Whiff of Joy and she is having a wee Tea Party with her buddies...and how cute are they..! I have teamed her up with some gorgeous Dovecraft papers..a WOJ banner...a sentiment and a little cheesecloth too.. Banner ~ WOJ "Heart Banner"
Sentiment ~ WOJ "Magical Wishes"
and check out all the lovely stamps...and dies too..they are all so gorgeous..
Hope you are all well today...and are you ready for the Olympics?? lets just hope it going to be a lovely evening...even tho' there has been a wee mention of thunderstorms...!! but I have got some felt Cupcakes to share...but don't look to close at my hand stitching..lol..
and a couple of piccies of my daughter Rebecca and her best friend Victoria at her school prom last month..
you can see the scull and bones as the design...very gothic indeedy...! So I hope you all have a lovely day...the weather is still fine...and fingers crossed the opening to the Olympics is going to be fabulous..! So that's all from me today...hope you all have a lovely day...and I'll catch ya all laters after work.. So onto my card...and today I have been playing with the uber cute Milton from Wild Rose Studio....and don't you just love his mahooosive sunflower..! 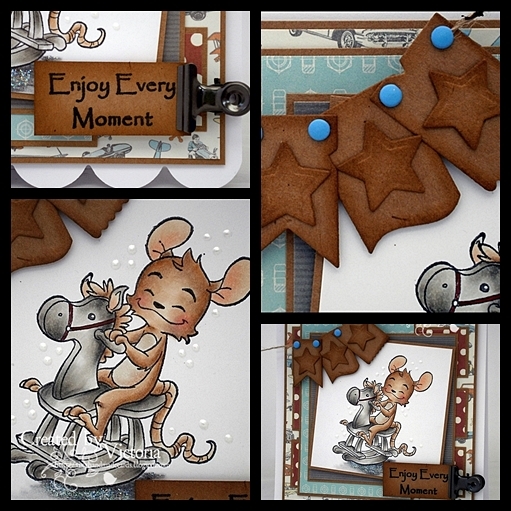 Papers ~ Wild Rose Studio "Milton"
WHIFF OF JOY DT CARD ~ HENRY ROCKING HORSE.. 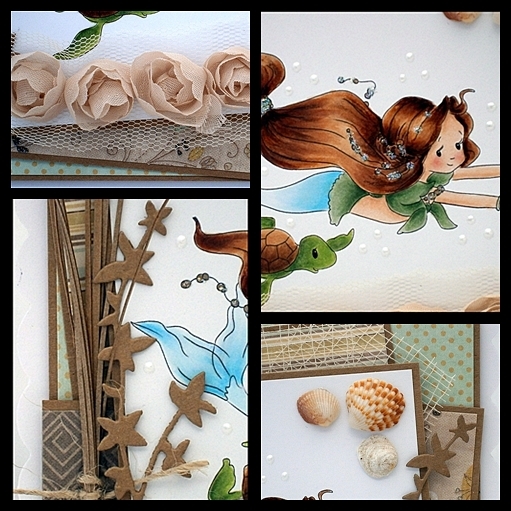 Banner ~ Whiff of Joy "Cute Banners Trio"
and check out this months gorgeous new releases...they are simply adorable.. 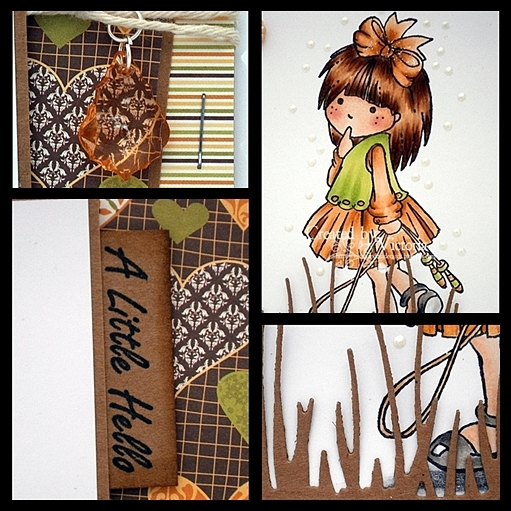 So I hope you all have a lovely, sunny day...and I'll catch ya all laters..
SUGAR NELLIE DT CARD ~ JELLY PIP.. 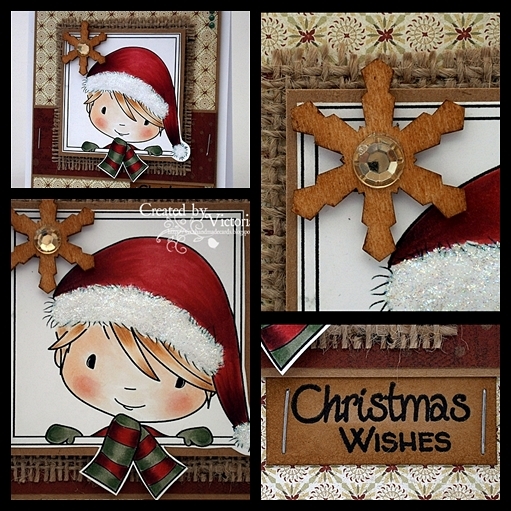 So onto my card...and I thought I have a wee play with my Pips from Sugar Nellie...and how cute is this wee darling...! I have teamed her up with some gorgeous Jillibean Soup papers...some string...a Genie Stone from Prima...and a sentiment too..
Papers ~ Jillibean Soup "Dutch Mustard"
and I'll check you all laters after my long shift at work..